Getting picked up by your Uber driver is about to get a lot easier. 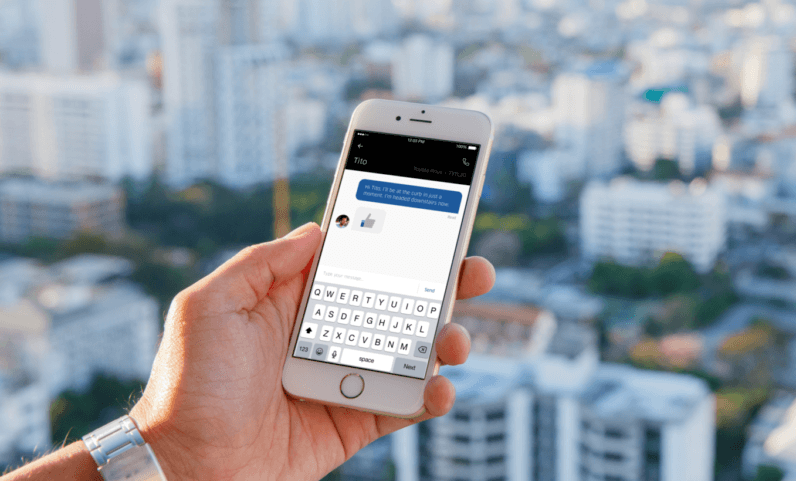 The ridesharing company is rolling out a new in-app messaging feature that lets you communicate directly with your driver. When a passenger messages a driver, they’ll see their license plate number, car model, and name. It also has read receipts, allowing you to see if your driver got the message, and if you need to send a follow-up. Obviously, using a cell phone when behind the wheel is hugely dangerous. In a lot of states and countries, like the UK, it’s illegal. The Uber Partner app warns drivers to only use the in-app messaging feature when stopped. To reduce distractions, it reads messages aloud, and lets drivers respond with a ‘thumbs up’ emoji — a la Facebook Messenger. Uber’s new messaging feature replaces the previous SMS-based system, which frankly sucked, as it was tied to a phone number. If you change your number and forget to update your Uber account, use local SIM cards when traveling, or (like me) use two different phones, it’s a really terrible experience. Let’s hope that the next step for Uber is moving voice calls to a data-based system, too. In-app messaging is rolling out globally, and will be available to drivers and passengers with the latest version of the app over the coming weeks.